Items are generally dispatched within 1-2 business days after payment is cleared however please allow 5-10 business days for it to arrive. 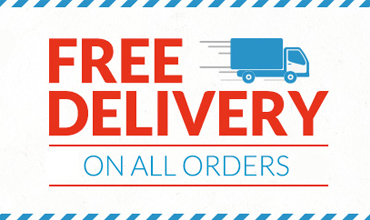 Your item will be sent via courier or Australia Post depending on its size and weight. Refer to the individual product page to check the delivery method. Being an online only store, we do not offer a pick-up option. Where goods are sent through Australia Post, the buyer may receive a knock on the door or a card in their letterbox indicating their item is available for pickup from their local post office. A signature is required for collection. We ship using a tracked and insured service, it's important that the buyer keep themselves updated with delivery of their item. We now offer capped price international shipping to select countries. Please visit our International Shipping Details page for more information.